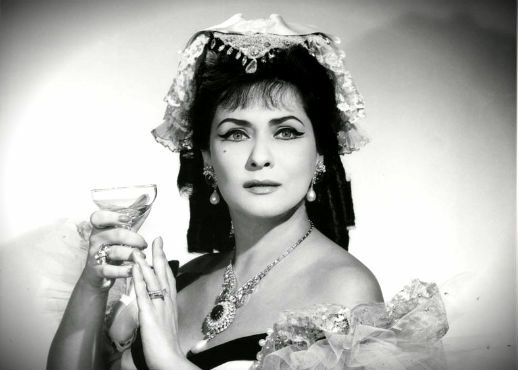 An appearance by legendary diva Virginia Zeani is but one of the highlights of tomorrow night’s Marcello Giordani Foundation Concert and Dinner. The Romanian soprano is a special guest of honor at the event to receive the Marcello Giordani Lifetime Achievement award. On the musical portion of the program, the tenor (in between performances of La fanciulla del West here in NYC) will offer Neapolitan and Italian love songs from his forthcoming CD, “Ti Voglio Tanto Bene” with conductor Steven Mercurio. He will then join Met colleagues Lise Lindstrom, Stephen Costello and a group of young artists for selections from Romeo et Juliette, Un ballo in maschera, La bohème, Pagliacci, Turandot, Il barbiere di Siviglia and Andrea Chenier. Proceeds from the gala are earmarked for the organization of the first Marcello Giordani International Vocal Competition, to be held in Italy the Spring of 2011. It’s all tomorrow night, December 8, at St. Jean Baptiste Church, Lexington Avenue at 76th Street, and a few tickets for the whole affair (or for just the musical part of the entertainment) are still available through the Marcello Giordani Foundation.